Ancient Cobalt Blue W. Asiatic Glass in modern “short-tube” copper reconstruction. In the above photo, you see the beauty of the darker blue cobalt bead, mounted in a “short-tube” configuration to make the Triad a little smaller all around, so it can fit more easily into a pocket, purse or small pouch. 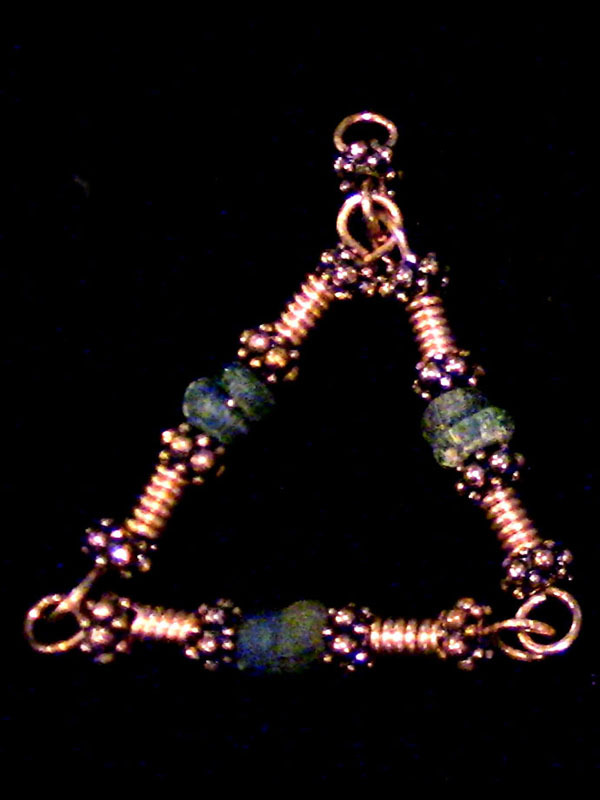 Triads can be worn, carried in a pouch or stuffed into a pocket or purse. All Tesla Style Triads come with a top hanger.